Refusal of Planning Applications for housing opposite Adel Parish Church on ancient green fields was warmly welcomed by the local community. The Developers now have the right of Appeal to the Planning Inspector. Ian Bond, Co-Chairman of the Forum said “We have won the first battle but are not complacent and we now plan to build a fighting fund to oppose any revised applications or appeals. The fighting fund is essential to conduct further research to back up our opposition particularly on Traffic and Heritage grounds. 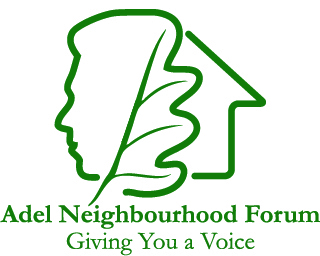 Cheques should be made payable to Adel Neighbourhood Forum, c/o 6 Adel Wood Gardens, Adel, Leeds, LS16 8JH. Our first fund raising event will be “Call My Wine Bluff” on Friday, 23rd January at 7.15pm for 7.30pm in The Old Stables, Back Church Lane, behind Adel Parish Church, LS16 8DW. Join us for a fun evening with a difference. The Three Muscateers each describe a wine but only one is telling the truth. Working together on a table of eight can you pick the right one? Tickets are £19.50 each which includes generous tastings of six different quality wines accompanied by cheese board, bread and biscuits. Contact john.hartley@btinternet.com or call him on 0792 921 8037 to book places. Meanwhile the Forum is now on track to produce a draft Plan. This will set out our proposed policies and will also incorporate the relevant information from the earlier Adel Neighbourhood Design Statement. Consultation will take place on The Plan in the early months of this year and then, as amended by the consultation, will be subject to a Referendum for final ratification. Attendees: Ian Bond (co-chair) Nick Brown (co-chair), Christina Walsh, John Hartley, Allan Dawson, Cllr. Barry Anderson, Caroline Anderson (Secretary), Geoff Steel, Margaret Steel, Lawrence Tewfik, Sarah Rushton, Paul Pragnell, Shona Bond and David Johnson. 1. The Chairman welcomed everyone to the meeting. He explained what aspects the meeting would cover. Ian outlined the current position with the plan. A number of policies are being developed to go into the plan. Ian and Nick met with Mike Dando this week. He felt our draft policies were not related to planning issues they were more to do with community aspirations. There are however 2 audiences – local residents and LCC Planners. We can still put our aspirations in but we need to make this clear. A discussion was held on whether Adel is a village or a suburb of a city. What makes a village a village? Discussion also centred around where is the centre of Adel. Ian and Nick will review the policies in the light of Mike Dando’s comments. A discussion took place on what the key ingredients are that make Adel special. Geoff asked whether being a suburb or a village would make a difference to our standing with Leeds City Council. Nick said we need to identify the key characteristics and the stronger we are on that the stronger our hand. Lawrence asked about timescales for the plan and when the money from “Locality” needs to be spent i.e this year. It would be preferable to have a draft ready for the community to consider. They need to see what might be stripped out to meet the needs of the independent Inspector. Information for the plan is available from the work the Focus Groups have done. Ian and Nick are meeting on Monday and will get the policies out to the Focus Groups. We need to consult again once the draft plan is ready and have a series of events rather than giving every household a copy of the plan. Action Point – Barry to chase up the results of the education consultation. Barry thought the need for school places would not be as imminent as originally envisaged due to the refusals for the housing on the PAS land. Again there is the dilemma of where to put a school, which of the current ones would close if a larger school was opened, who would provide the money for a new one. John asked if the plan was smaller now if we are stripping some of it out. Nick said the policies would be smaller but the aspirations and the actions would be larger. Barry said it would absorb the Adel Neighbourhood Design Statement and a meeting would be held soon with Council officers about doing this. A discussion was held on what work remains to be done following the refusals so we can continue to rebuff the developers. What sort of expertise and help should we pay for. Traffic assessments and Highways information was discussed. We need to revisit the heritage aspect. 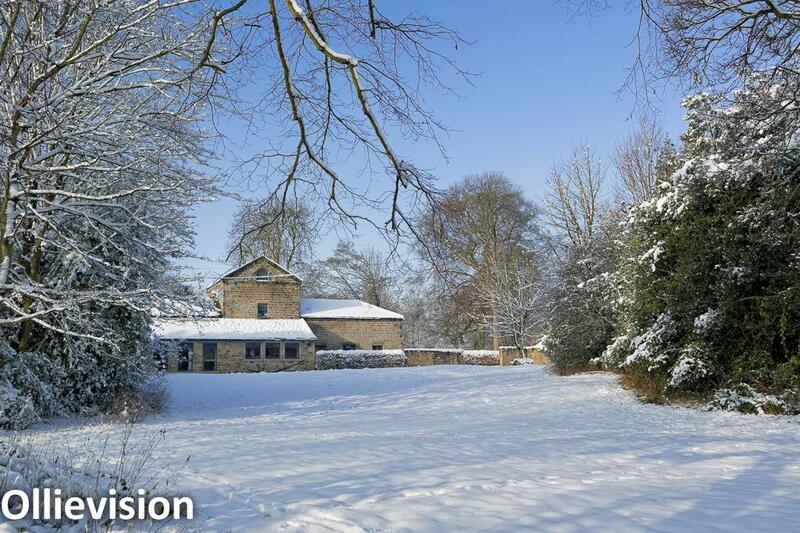 What more can be done with the Civic Trust, English Heritage and CPRE. We need to decide on our approach if the developer tries to go for smaller planning applications in chunks. E.g. application for say, 45 houses, on the field next to Centurion Fields. Ian said we could be a third party and cross examine the witnesses if the developer goes to appeal e.g. we could cross examine English Heritage on their subsequent acceptance of the responses given by the developer to their original objections to the applications. The developers will either come back with different applications or they will go to appeal. We will need representation. Ian sought views on whether we should launch an appeal. Nick raised prematurity. John felt that we should spend our time strengthening our case to pub backbone in to the Council. Gillian Macleod the Highways Planner said she was willing to look at our highways policies in the plan. Lawrence gave an update on the financial statement. Current there is £1887.76 in the account. Of that £1392 has been donated to the Fighting Fund. We had discussed at the steering group that we needed to raise money as to get representation at a top level we will require in excess of £10k. Lawrence is drafting letters to earlier funders and people who live next to the site. As a forum we agreed we were prepared to challenge in whatever way is appropriate. We are committed to putting up as strong an argument as possible to challenge the sites – this was unanimous. Ian introduced the item and said that a number of people have been in from the start and it seems that responsibilities are falling to fewer and fewer people. Geoff Steel has said he will be standing down as a focus group leader. Ian thanked Geoff for the amazing amount of work that he has done Allan thought we should update the community as to where they can perhaps join in. Ian reported that Mike Dando said we had a number of days of planning support left and how do we use it. This can be discussed at a meeting of the Steering Group. The report from the consultant on highways is to be shared with the wider Forum. 6. The next meeting of the full Forum will take place in February 2015.